Clear polycarbonate and plastic shields that allow for maximum comfort and protection for post-operative patients. Shields come sterile or non-sterile and are vented to reduce fogging. Adult and youth universal sizing with deep and standard shells. 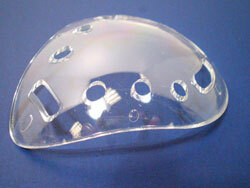 Clear non-sterile polycarbonate vented shield, universal size with deep shell. Does not have guarder or padded lining. Sold 100 per box. 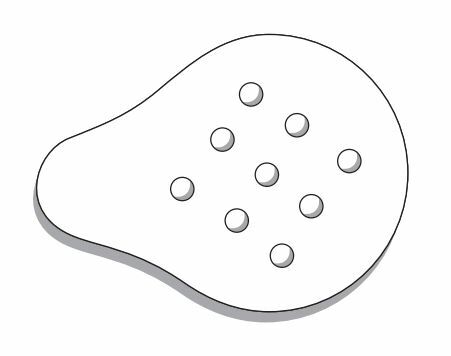 Clear non-sterile polycarbonate vented shield, universal youth size with standard shell. Shield has foam lining but no guarder. Sold 25 per box. Clear sterile plastic vented shield, universal 3" x 2.5" size with standard shell. Does not have guarder or padded lining. Sold 50 per box. 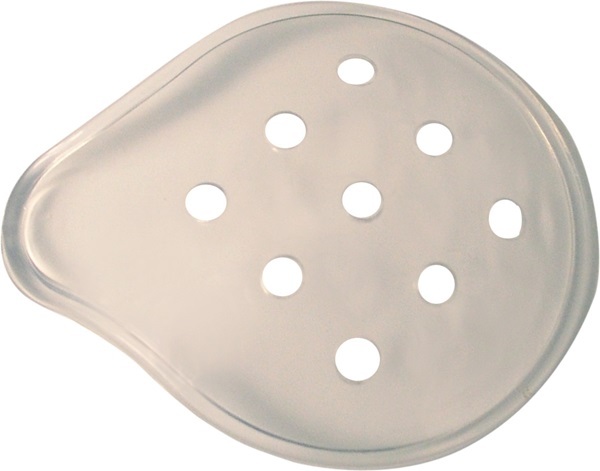 Clear non-sterile plastic vented shield, universal size with standard shell. Does not have guarder or padded lining. Sold 100 per bag. 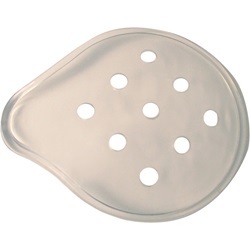 Clear sterile plastic vented shield, universal size with standard shell. Does not have guarder or padded lining. Sold 50 per box. Clear non-sterile polycarbonate vented shield, universal size with deep shell. Does not have guarder or padded lining. Sold 50 per box.